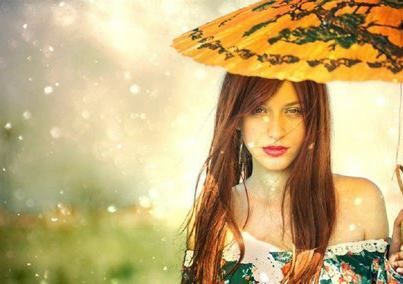 Do you know why hair fall increases during the rainy season? Keep reading to find out…. For S3 (soft, silky, shiny) hair, besides these good habbits, (if you don’t know check the link http://www.glamgirl.co.in/2012/09/good-habbits-for-hair.html) , you need to do a little different in rainy season. In this weather the moisture in the air increases that is “humidity”. Which is absolutely not good for hair, your hair doesn’t want this much of moisture. Besides, because of humidity scalp swells and this swelling end up into loose roots therefore hair fall from the roots. Apart from this problem, there is another that is “the frizz”. To control all these problems there is one solution that is hot oil massage but there is a little twist. Hot oil massage will reduce the swelling in hair follicles. It will moisturize and also control the frizz. Thus you will have less hair fall. 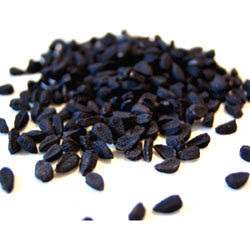 Tip: Take coconut oil, sesame oil or olive oil, add a pinch Nigella seeds (kalonji) and bring a boil. Let it cool down so that you can dip your fingers in it. But remember when you apply oil, it should be warm, because then only it will be “hot oil massage”. To keep it warm, keep the bowl of oil on a glass filled with hot, really hot water (this is what I do). Be careful while applying it. Nigella seeds will help your hair to accept the change in the weather. This method is applicable for all the weathers. Do it in any season when your hair doesn’t accept the weather change. This is very effective. Give your hair hot oil massage at least once a week. I wish you S3 hair. Thanks for all your valuable hard work on this blog. My mother really likes engaging in investigation and it’s really obvious why. My spouse and i notice all concerning the powerful medium you create practical tips by means of the blog and as well attract contribution from some others on that area of interest and our favorite child is without a doubt studying a whole lot. Have fun with the remaining portion of the new year. You are doing a dazzling job.